I’ve always enjoyed Mary Oliver’s nature based themes and spiritual themes. The last stanza of this poem with the lines, “…lights up the deep and wondrous/drownings of the body/like a star” is gorgeous. I think of the spirit like that–this beautiful light that lives in form, much to its dismay at times. The poem of mine is about finding love and peace in simple moments in nature. Magic happens in the now. a few feet away from our heavy heads. and tell each other a few stories from our lives. Update on 1/19/18: My memoir Angels in the OR: What Dying Taught Me About Healing, Survival, and Transformation can be pre-ordered now. It is a #1 new release in several categories. I’ve only been blogging about my near-death experience, spirituality, recovery from tragedy, healing, healthy eating, and other topics since March 20, 2016, and what a beautiful experience blogging has proven to be. My near-death experience was listed on NDERF’s website of exceptional near-death accounts, and since that listing I’ve received beautiful notes from people all around the world. Today, out of random curiosity, I looked to see which countries around the world had viewers of my blog. What proved most most interesting are the countries not represented: North Korea, Syria, Iraq, Afghanistan, Kazakhstan, Tajikistan, Kirgizstan, Mongolia, Cuba, Saudi Arabia, and several countries in Africa, although I did have views in Kenya, Uganda, Nigeria, Sierra Leone, Namibia, South Africa, and Morocco. Most countries around the world were represented, and I chuckled for a moment, wondering who in Nambia read my blog. (I sent all the viewers love on their journey:-) It made sense that no one from North Korea had viewed my blog. If a blogger has a view in North Korea, that view is probably from a foreigner or reporter visiting North Korea. North Koreans do not have access to information in the same way that most countries allow. Connection: The views from around the world pleased me not from a place of ego, but from a place of happiness that other blogs about healing and other more well-known blogs with helpful information are widely available around the world. Years ago growing up in the country, I read books as a way to expand my mind. I read Invisible Man at a young age, and this book deeply and profoundly helped me understood racism in the USA. At young ages, I also read books by Alan Watts and C.S. Lewis. I read books like The Autobiography of Gandhi, Siddhartha, Steppenwolf, and The Way of the Peaceful Warrior. Although books are fantastic, I know I would have enjoyed certain online communities and the connections I could have made at that isolated time of my life. Now, people can read a story from someone’s life with the click of a button, even on their mobile device. Technology has certainly had some detrimental effects on many individual’s health and some aspects of life in general, but knowledge is power and personal connections expand our hearts and make us feel more connected. Most societies are moving toward open dialogues about many topics not discussed in the past, and this is great improvement. Oppression often begins with saying that one leader’s opinion or one way of thinking is the only right way to think. Even saying that one religion is the only correct religion for everyone is a form of oppression. Oppression of expression and information is certainly evident in places like North Korea. We should feel grateful that most of the world has the freedom to share stories and express beliefs. I love the affirming, supportive communities I’ve found while blogging. I enjoy many Facebook groups about mindfulness, healthy eating, near death experiences, and other topics. Ninety-nine percent of my interactions have been incredibly positive with other bloggers and readers of blogs. However, after making a couple of YouTube videos, I have experienced a very small taste of the hate culture out there. I’ve seen much more of it expressed toward well-known writers and activists who I admire and enjoy. Oh YouTube: I only aim to bring healing to those who might benefit from my words and entertain a few others. In a world of information, a viewer can click away to another story that brings him or her joy. One important lesson from my near death experience is that life is short and meant to be enjoyed. Every person lost in a rage of nasty YouTube comments or blog responses is mostly hurting himself or herself. These people are stewing in negativity when they could be loving themselves and bringing themselves joy by focusing on what brings them joy. Consider watching and reading what brings you joy and click away from what doesn’t. I’ve mainly been attacked by evangelicals who are upset that I didn’t see Jesus during my NDE. Luckily, I can delete these comments on my blog. During my NDE, I felt a certain Christ consciousness, a loving energy, and a direct statement to be like a little child and to love openly and enjoy the natural world deeply. Many NDEers do not see religious figures. I will go on record ahead of time before my book is published and say that my book will not appeal to evangelicals. In a world full of information, I hope evangelicals find what they love and what brings them happiness and peace. Happiness and inner peace is my hope and wish for all beings. My work will reach the people it is meant to reach, and that is the beauty of the information age. Readers can and will eventually find what makes them feel more whole, connected, entertained, and alive. And may more bloggers reach citizens residing in North Korea, Syria, Iraq, Afghanistan, Kazakhstan, Tajikistan, Kirgizstan, Mongolia, Cuba, and Saudi Arabia. Information is not only power, it is healing and stories connect us. Mindfulness for Millennials: If you are a millennial, you may have heard of mindfulness in connection to Buddhism, meditation, or yoga. Perhaps, you already have a practice. If you do, hopefully the peace and awareness from your practice extends into every area of your life. Mindfulness is something you should try to incorporate in every area of your life. At a very basic level, mindfulness is being in a state of awareness, and even if you are not interested in meditation, consider the importance of mindfulness in your day to day activities. It took a devastating car accident and a near-death experience to wake me up at twenty-one, but I would like for you to wake up in a gentler, kinder way. Being conscious of the world around you can save your life, but it can also bring more peace and understanding to your everyday activities. You will be able to handle stress more effectively and make better decisions in all areas of your life. You will be better in relationships, better in school, and in the workforce. You intuition will increase, and you will understand the world and other people in deeper ways. These tips definitely apply for those who are a part of Generation Z, as well as to those in Generation X and Baby Boomers who haven’t examined their relationship to technology and set aside time away from their devices. I made a YouTube video about this topic, but I have also created this post about five ways to be more mindful. #1 Be More Mindful with Technology: One of the first ways to become more mindful is to consider how you navigate the world with devices. As I walk the halls of the college where I teach, students are glued to their phones. Often, they nearly run into me in the stairwell. I’m an instructor, and these students might want to ask me for a letter of recommendation at some point. They should smile, make eye contact, and look around the world. They should talk more frequently to those around them as they wait for class to start. A popular spoken word video by Gary Turk came out a few years ago called Look Up. The video shows people in different situations and how their world would deepen and become more meaningful if they put down their phones. I want to tell millennials (and Generation Z) to look up and stay looking up. Interact with people around you. Observe others. The more you observe the world around you, the deeper your intuition grows. Intuition is a completely different subject that I will return to at another time, but for now know that intuition is often a whisper. You have certainly felt your inner guidance warn you about someone. Maybe you overlooked this warning and listened to what someone said about themselves instead of what your feelings were telling you. Later, you might have found out you were right. That was your intuition talking. If you constantly distract yourself with your phone, you will not develop intuition and pick up on the subtle cues that people give off with micro-expressions. With a bit of training, you can easily pick up on lies and other subtle clues that people give you with communicating face to face. Additionally, professors and bosses will react more positively to a face to face meeting than another email or text. We receive hundreds of emails daily, but a face to face interaction is much more memorable and meaningful. You are more likely to get the help you need with a meeting in person. #2 Be More Mindful about How You Interact with People: As I look around the world at millennial couples, I see a lot of people together but lost in screens. I am not sure if one person is addicted to social media and the other person feels lonely waiting for that person to get off their phone, so they interact to fill the time. Whatever the case, mindfulness teaches you how to see the beauty and mystery in other human beings. Develop curiosity about the lives and feelings of those close to you. Make a lot of eye contact, and create conscious, loving moments with people you love. Your friendships and romantic relationships will greatly benefit with more conscious attention. After my near-death experience, I was deeply curious about everyone. I wanted to know what made people tick, what secrets they kept in their hearts, and what dreams they had for themselves. Develop curiosity about people, and believe that they can and will show you their best selves. As you develop greater intuition, you will also discern who you should not to give your time to and who might be dangerous. #3 Take Breaks: Mindful people know how to take breaks and how to deeply enjoy these breaks. Meditation has amazing physiological and psychological benefits. During my recovery after surgery, I had a lot of time on my hands, and I discovered the joy and peace that can be found through meditation. My body healed quickly, and I attribute part of my speedy recovery to meditation. When my body cast was removed, and I returned to the beautiful U.T. Austin campus, I often took breaks that semester. I felt ecstatic just to be alive. I sat on benches and watched the world swirl by me. I felt gloriously happy just to walk, have breath, and be alive. I have felt grateful for most every moment in my life since, even the tough moments. I realized after my NDE that it is a blessing to be above ground and to get to experience the world in deeply meaningful ways. Millennials are a stressed-out group, and you need breaks badly. You expect things to happen for you instantly and quickly. Breaks help you enjoy life and develop patience. You need to take time just for yourself and not answer a single text, email, or engage with anything other than silence for a part of your day. However, if silence is too overwhelming, and you are not ready for a daily meditation practice, consider shutting your eyes and listening to calming music as you breathe deeply every day for a specific amount of time. Alternately, you might do as I did and sit somewhere in a beautiful area and think of all the things you are grateful for in your life. Whatever you do, experience daily breaks in a meaningful way. #4 Go Out in Nature: Generation Xers had more freedom growing up, and many tend to associate nature with playing and having a great time. I want your generation to experience the same child-like glee that many of us feel in nature. Climbing a mountain is not only great exercise, but it allows you to get far away from everything that troubles you in your life below. It is not a coincidence that many temples are built on mountaintops. You are literally closer to God or a higher consciousness because you have escaped the hustle and bustle of the world below. Nature is not just something to look at; rather, it is something to experience. Being in nature invites you to open up to your senses and be in the here and now. There is healing energy in nature, and your brain relaxes and thinks differently in beautiful areas. If you have experienced trauma in your life, nature is a place where you can begin to heal these parts of yourself. The Celestine Prophecy outlines the ways that humanity can begin to awaken, and one of the first ways is to become aware of the energy and power in the natural world. Once you are aware of this energy, you realize that nature gives you energy. The millennial generation should be the generation that creates greater sustainability and awareness of nature. To do this, you need to get out and appreciate it yourself. #5 Nourish Yourself: Don’t always reach for sugar and caffeine when you need energy. Consider drinking water and eating a piece of fruit. Look to nature as a way to determine what might be most nourishing for your body. After my near-death experience, I was deeply aware of what it felt like to have a body again, much like an infant or child is aware of the body. Though I grew up a little quicker than an infant, I deeply appreciated the senses for quite a while. Food sometimes felt like a psychedelic experience. After being in ICU for three days, and fed through an IV for several more days, the first sensation of food sent me spinning and felt like manna from the heavens. Once I left the hospital, I researched diets and decided on a mostly raw fruit and vegetable diet. I attribute the diet to how quickly my body healed. Do research yourself, but also use common sense. Everybody is different, but more raw fruits and vegetables added to any diet will probably benefit you. My Connection to Mindfulness: My near-death experience taught me mindfulness in a direct and instantaneous way. I was pleased to be back in the body and experience all of my senses. I loved to taste amazing foods and interact with others. Even through the physical pain of healing, I used meditation and other tools to speed my recovery. I didn’t run from the pain; rather I embraced it without pain killers and trained my mind to adapt to the pain and work through it. Pain passes, and it passes quicker when you don’t run from it or deny it. Additionally, my near-death experience showed me that I needed to return to my body and become a teacher. For several years now, I’ve taught English and Creative Writing at the college level, and I’ve observed and worked with thousands of millennials. Though millennials are a great, fun group, I would like to see more of you practicing mindfulness. Mindfulness will help you become more successful students, friends, romantic partners, employees, and employers. Mindfulness may be an important key for success, and it is my sincere wish to see this amazing generation grow more conscious and aware. So many educators are aware of the importance of teaching mindfulness to students. Here is a wonderful blog post about teaching mindfulness in the classroom. If you would like to learn more about meditation, I high recommend reading the books of Thich Nhat Hanh. You might also check out this YouTube video where Jon Kabat-Zinn discusses what mindfulness and meditation are really about: presence of heart. 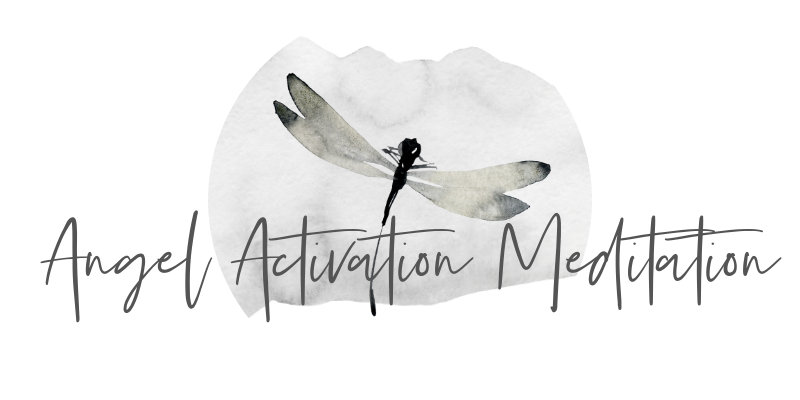 If you would like a simple way to practice a loving, healing five minute meditation, check out this one by Louise Hay.